... the newest members of TDLA, all sponsored by James Tucker. Pamela Jean Skelton of Ensafe, Incorporated, Memphis. Pamela practices in the areas of legal and corporate transactions. Kristi Marie Wilcox Arth of Bradley, Arant, Boult, Cummings, Nashville. Kristi practices in the areas of litigation and intellectual property. Brandon L. Morrow of Kramer Rayson, Knoxville. Brandon practices in the areas of litigation and employment & labor. Jennifer Nicole Price of Leitner, Williams, Dooley & Napolitan, Knoxville. Nikki practices in the areas of general liability and workers' compensation. TDLA welcomes Christy Tosh Crider of Baker, Donelson, Bearman, Caldwell & Berkowitz, PC, Nashville. Ms. Christy practices in the areas of Long Term Care, Health Care, Risk Management, Labor & Employment. Terri Leigh Bernal of Wimberly Lawson, Nashville, who practices in the areas of Employment, General Liability, Government and Workers' Comp. TDLA lapel pins are available for $5! Melvin J. Malone Newest TDLA Member! TDLA welcomes its newest member, Melvin J. Malone of Butler Snow's Nashville office. Mr. Malone graduated from law school at the University of Tennessee and practices in the areas of commercial and government law. He is a member of DRI and sponsored by TDLA President James H. Tucker, Jr.
Allison Cotton has joined Ford Harrison's Nashville office where her practice focuses on representation of employers in labor and employment matters. Lynn Lawyer has changed positions within Nationwide and now works out of their Franklin, TN office. Her new position is Assistant General Counsel - Business Operations supporting the Central Atlantic Regional Operations. 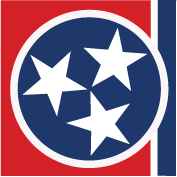 Tennessee Governor Bill Haslam has appointed TDLA's Immediate Past President, Brad Box, to a four-year term on the Governor's Council for Judicial Appointments. Kimberly Silvus of Wiseman Ashworth Law Group, PLC, Nashville. Kimberly is a 2005 graduates of The University of Georgia School of Law ad practices in the areas of medical malpractice, nursing home and professional liability. Congratulations to TDLA member, David Eaton, who along with his partner, Carl Hagwood, obtained a defense verdict in a matter involving a long-term care facility. To learn more about this verdict, please go to the Members Only section. TDLA welcomes its newest member: John R. Tarpley of Lewis, Thomason, King, Krieg & Waldrop, P.C., Nashville is a University of Tennessee Law School graduate. He practices in the areas of tort, transportation, product liability, professional liability, commercial law, casualty defense and insurance matters. He is a member of DRI and is sponsored by TDLA President James H. Tucker, Jr.